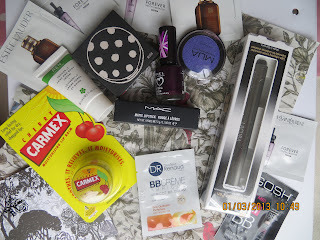 So I love a good beauty swap with a lovely blogger so was please when Kat said yay lets do a swap!! Kat blogs at tales of a pale face and is so lovely! I was super excited to get the package and couldnt believe my eyes when I saw what was wrapped beneath the beautiful tissue paper! I couldnt believe she got me this stunning lippy! Candy Yum Yum lipstick from MAC. 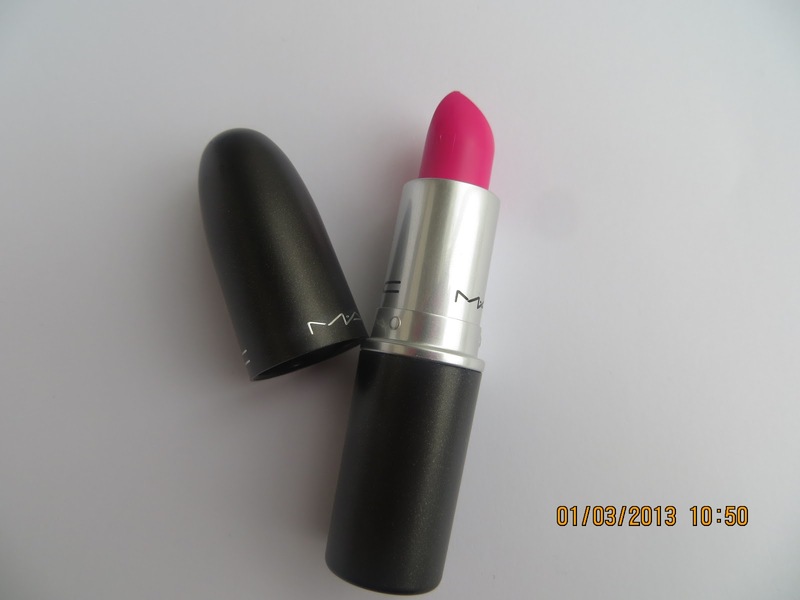 Its such a perfect shade for spring summer! Oh my!! Finally I have an item of Topshop makeup!! 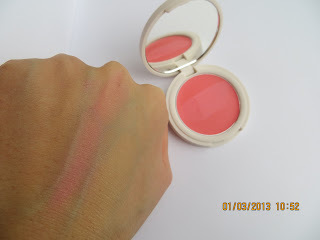 I was eyeing this up at the blogger meetup, its super creamy and pretty!! Thanks Kat! I also was lucky to get Carmex lipbalm, some samples, a concealer pen from Lacura, Rimmel lipstick in a gorgeous deep berry shade and a pretty purple eyeshadow! I am such a lucky girl, thanks so much Kat!! Kat's fab isn't she! What shade is that blush? It's gorgeous! Amazing products you've got! I'm dying to get myself a topshop blush, everyone seems to be raving about it! I love the sound of the swap, you got so many exciting goodies!